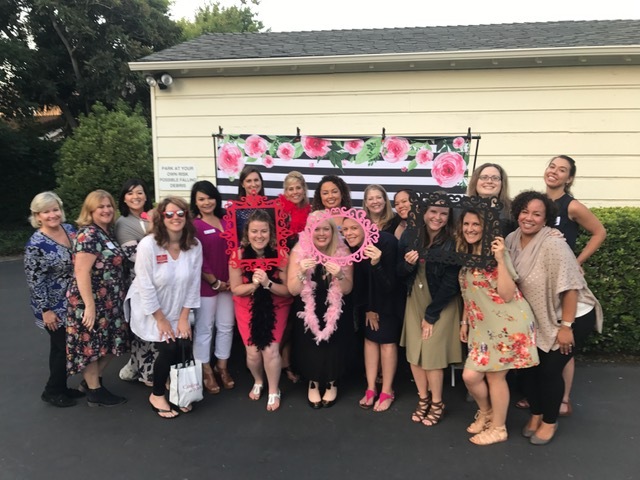 The Junior League of San Jose (JLSJ) is an organization of women committed to developing the potential of women, improving the community, and promoting voluntarism through the effective action and leadership of trained volunteers. We are a charitable organization focused on making lasting community change. Our members are a diverse group of women wanting to gain leadership while improving the community in an environment of supportive like-minded women. The Junior League of San Jose trains women to be civic leaders and effective volunteers by offering leadership opportunities throughout the League. JLSJ also provides training opportunities to prepare women for their lives, their careers and community impact. Many of our members have gone on to serve in leadership positions on nonprofit organization boards. Learn more about our leadership development. 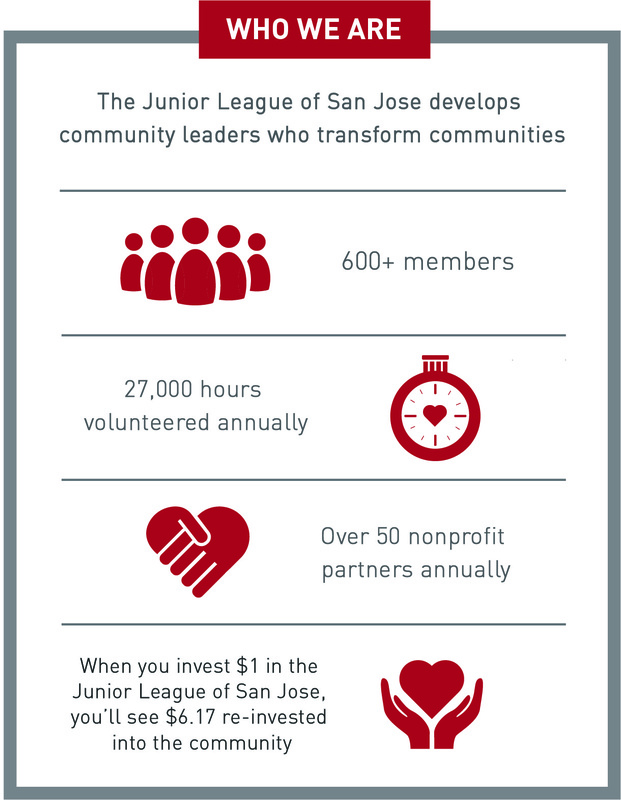 The Junior League of San Jose has played an integral part in the development, improvement, and support of Santa Clara County. During our 50-plus year history, JLSJ has given over $5.4 million to the community and almost 750,000 hours of volunteer service. Our members develop community projects in collaboration with local nonprofit agencies after careful consideration and research of an unmet community need. The League is an incubator for future community leaders, providing volunteer skills through placements on in League, fundraising and community committees. Along with sixteen other California Junior Leagues, JLSJ actively participates in the State Public Affairs Committee (SPAC) working with state legislators on specific legislation relevant to four focus areas – family support, education, health, and violence prevention. Learn more about our current impact areas. The Junior League of San Jose promotes and recognizes voluntarism through its annual community-wide Volunteer Recognition Luncheon. In addition, the League raises money to fund grants for local nonprofit agencies working in key areas of focus for the League’s current issue. Learn more about promoting voluntarism.